We really appreciate all love and spirit that our guest have given the old original Yellow Submarine! Unforfunately the owner of the original has decided to build a new house at the location. At the end of August we did close the original Yellow Submarine. house that we have felt had the same spirit at the old to join our family. We have given the new house a great name and that is.........New Y3llow Submarine! From this day forward we will not stop trying to make the New Y3llow Submarine the world's Best Guesthouse. really down to earth and mellow atmosphere; everyone was great. the breakfast area is open, so everyone can join, there are computers there, so i did not bother with my own laptop. there were a whole bunch of bathrooms, so i didn’t have to wait for one. it's only a 5-6 min walk from the subway anyways. overall, great ; i definitely recommend it! Our New Yellow submarine is a three-story house, with two rooms at ground-level that accommodates six people each, two rooms on the second floor that accommodates four people each (one female dorm) and another room accommodating eight people. In our basement we have one room for our staffs and a wide open area for relaxation and late night fun. There are plenty of toilets and restrooms in our submarine. Upstairs we have a table and chairs for chit-chat with your new hostel mates and downstairs we have three computers that are set up Korean-style with free wi-fi. Also downstairs is a dining area with a kitchen, fridge, stove, utensils and best of all free toast and coffee, tea! A guesthouse located at the heart of cultural, artistic, college area of Hongdae. - With close college lifestyle, best place for clubbing, shopping, hanging out with friends, also with other tourists to an exciting evening life. *Due to the high volume of requests to stay at Hongdae Guesthouse 1.0, we have branched out into a yellow submarine. As we run two guesthouses, we are making a party once a week to meet each other from both place. here is the direction How to get hongdae guest house 3.0 -New Yellow Submarine in Seoul Korea. be careful not to take the ' express ' train, as it goes straight to Seoul station. take the ' commuter (normal)' train from the airport.
' HONGIK UNIVISITY (HONGDAE IPGOO)' station, its the 7th stop from the airport station. to come to our guesthouse at ' HONGIK UNIVISITY ' station, use exit no 3. - turn right where is a contruction zone. - walk 15 meters, just right there. You will see Yellow Submarine sign in vertical way with a garden. 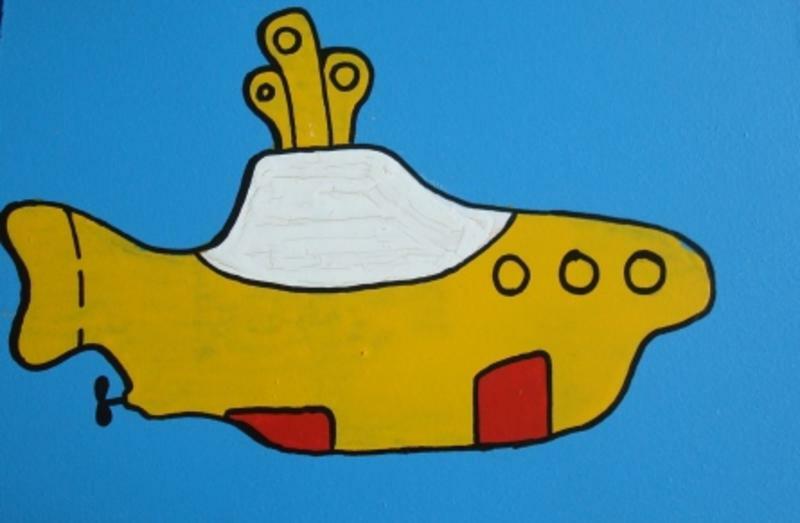 As well as, you will see the actual picture of Yellow Submarine. only two stops away, ' HONGIK UNIVISITY (HONGDAE IPGOO)' station, its the 7th stop from the airport station. take the ' commuter (normal)' train. only one stop away from there. at ' HONGIK UNIVISITY ' station, use exit no 3.